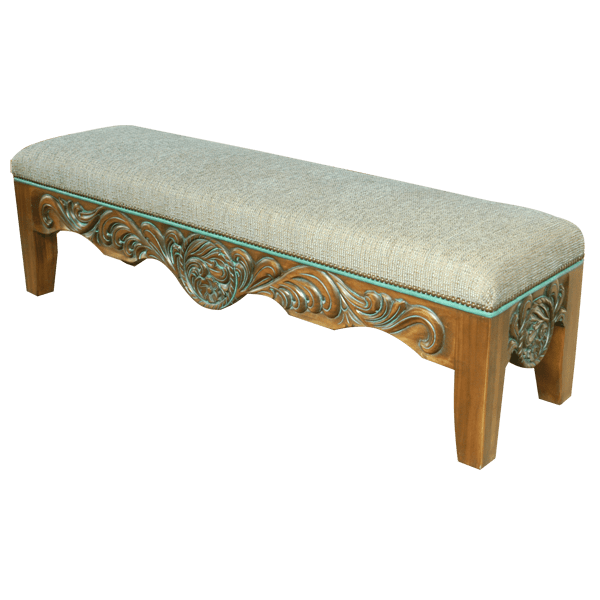 As pictured, this graceful, handcrafted, Western style bench can accompany our magnificent, Las Cruzes furniture. The bench has a padded, comfortable seat, and the seat is upholstered with textured, light green, fine fabric. 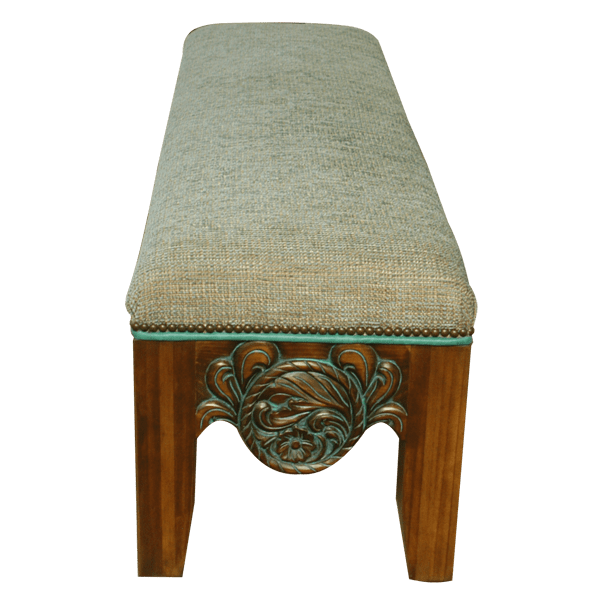 The fabric upholstery is border by a thin strip of turquoise colored leather, and the leather and fabric are divided by hand tacked, decorative nails. 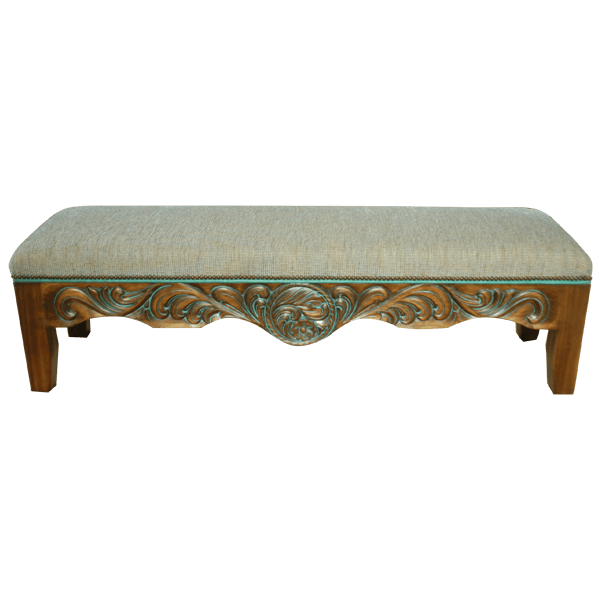 The front of the bench has an exquisite, front apron with a Spanish colonial style, curved design. The entire apron is embellished with spectacular, hand carved, floral details. Centered in the apron is a hand carved, circular design, and this design is repeated on the lateral sides of the bench. 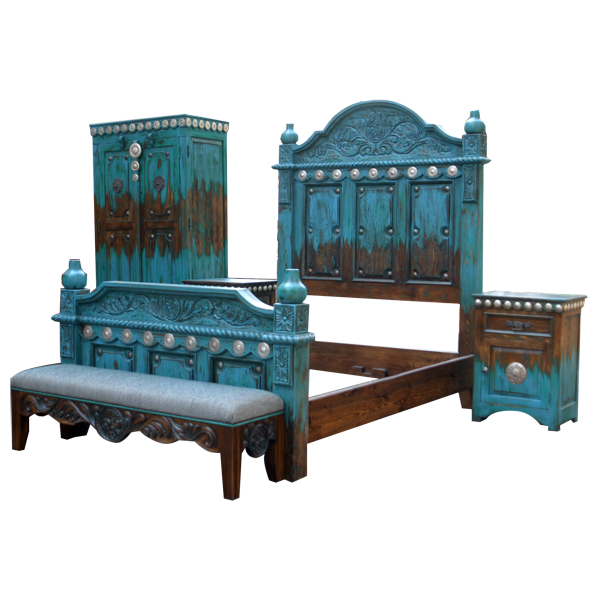 The hand carved details have a distressed, antique, turquoise finish. The bench is designed without a back, and it is supported by sturdy, solid wood, straight legs. It has a light finish, and it is made with the best, sustainable, solid wood available. The bench is 100% customizable.